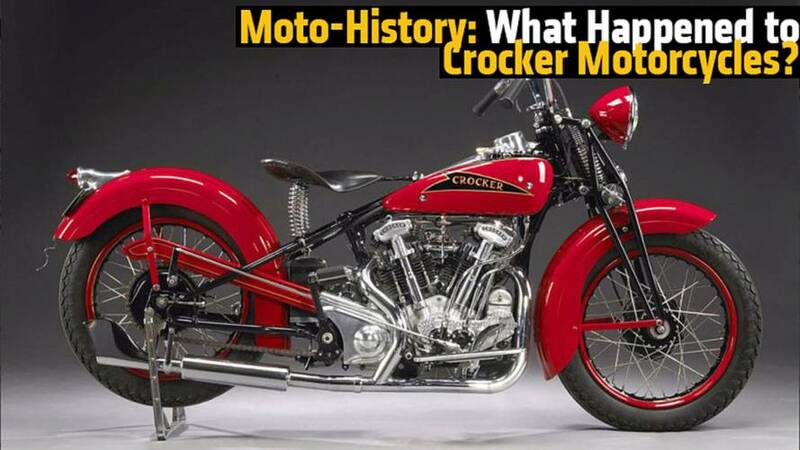 Moto-History: What Happened to Crocker Motorcycles? The US motorcycle market has seen hundreds of companies rise and fall since the early 1900's, but perhaps the most famous of these was the Crocker Motorcycle Company. For most Americans, the name Crocker brings up images of a dark haired woman in a red shirt who also has an extensive line of baking products. But in the 1930's and 40's, that name was synonymous with the high performance American motorcycles. In under ten years, founder Al Crocker went from owning an Indian dealership, to producing motorcycles of his own design, to making aircraft parts to support the war effort. During that wild ride, his designs dominated the street and the track, leaving behind a small number of highly collectible machines that easily fetch over $300,000 at today's auctions. This begs the question, "What is so great about Crockers?" 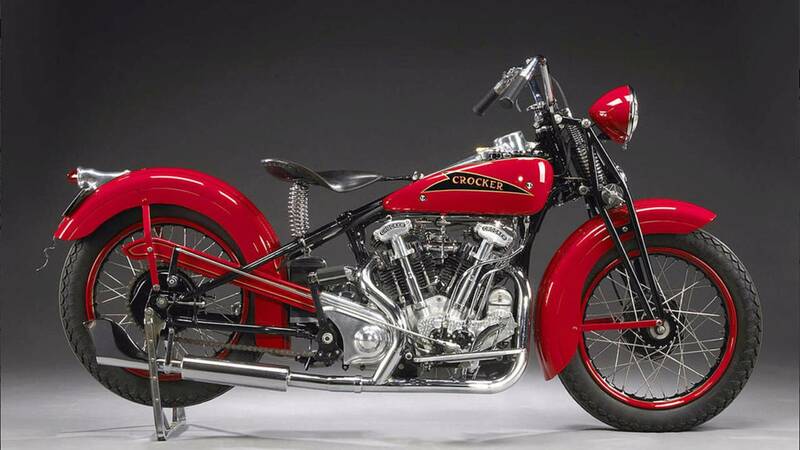 1939 Crocker Big Tank V-Twin. Photo by Simon Clay, courtesy of RM Sotheby's. To start, lets look back at the life of Al Crocker before the advent of Crocker Motorcycles. Al was born in 1882, and unlike the majority of Americans at that time, he went to college. He graduated with a degree in engineering from Northwestern and put his skills to use as a development engineer in the motorcycle division for the Aurora Automatic Machine Company. He was also an avid racer, riding on the Thor motorcycles he helped design at AAMC. Talented racers and engineers were both highly sought after in the 1900's, and it was not uncommon for companies to lure away top talent from their rivals. 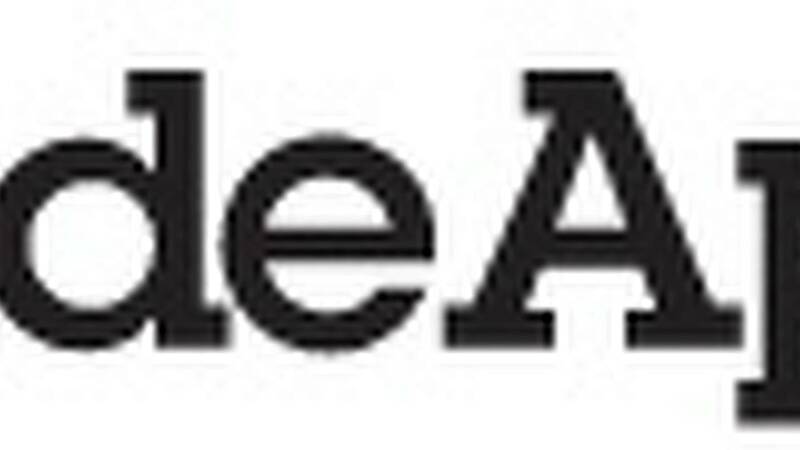 This was how Al found himself leaving AAMC and moving to Indian in 1909. Al was successful at Indian, holding a number of positions before moving to LA in 1928 were he soon purchased his own Indian dealership. With a steady income stream coming from the dealership, the stage was set for the birth of Crocker Motorcycles. 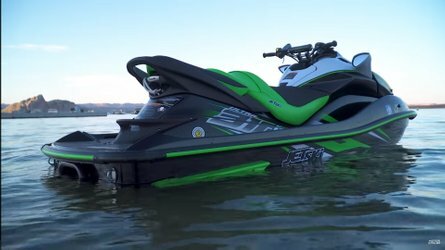 Being a racer and an engineer, Al naturally gravitated towards building custom race machines. He initially concentrated on improving existing designs, using Indian power plants, which were readily available from his dealership. 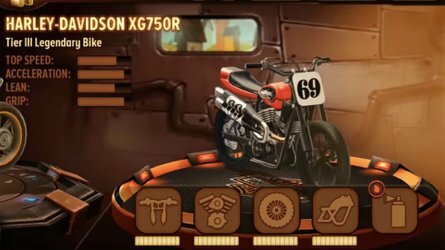 The sport of Speedway racing was popular worldwide and Al's first design was a Speedway frame that held an Indian Scout 45" V-twin. 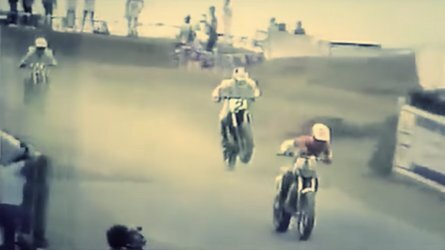 Even with the Scout's larger displacement, it was not competitive against the one cylinder machines normally used for Speedway racing. This led Al to develop an overhead valve conversion kit to increase performance. Still not happy with the results, he scrapped the idea of using the Indian power plant altogether and decided to design his own. 1933 Indian-Crocker 45ci OHV Speedway Racer. Photo courtesy of Bonhams Auctioneers & Appraisers. 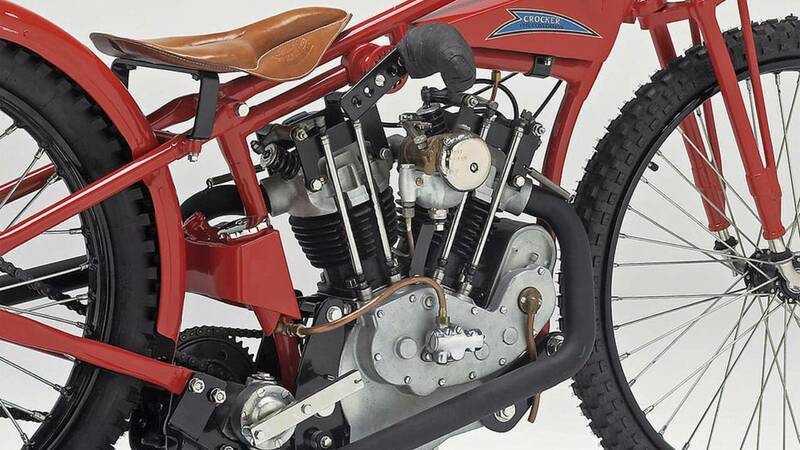 The result was the first Crocker motorcycle, powered by a 30.50" single cylinder engine of Al's own design. 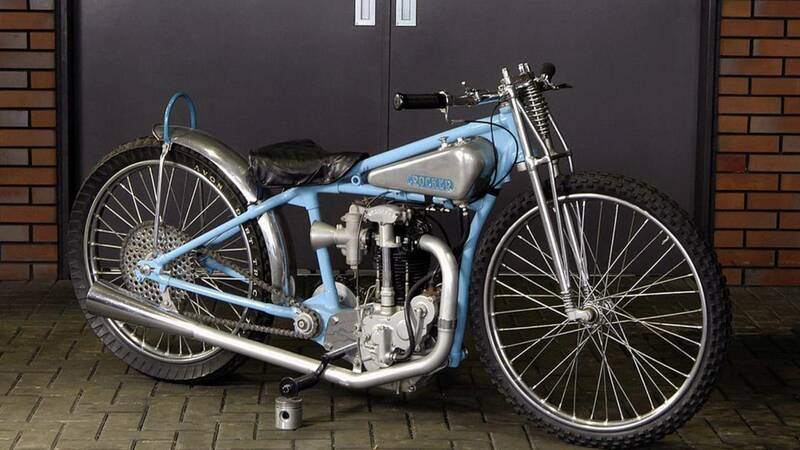 Starting in 1931, less than 50 of these Speedway motorcycles were built and they saw success on the track. They were faster than the CAC, which was being fielded by Harley-Davidson, but slightly slower than the JAP powered machines—putting them somewhere in the middle of the pack in terms of overall performance. Still, with a competent rider on board, Crocker motorcycles were able to take many checkered flags. 1934 Crocker Speedway Racer. Photo courtesy of MidAmerica Auctions. Having proved that he could build a viable racing machine, Al turned his attention to building a heavy weight cruiser. 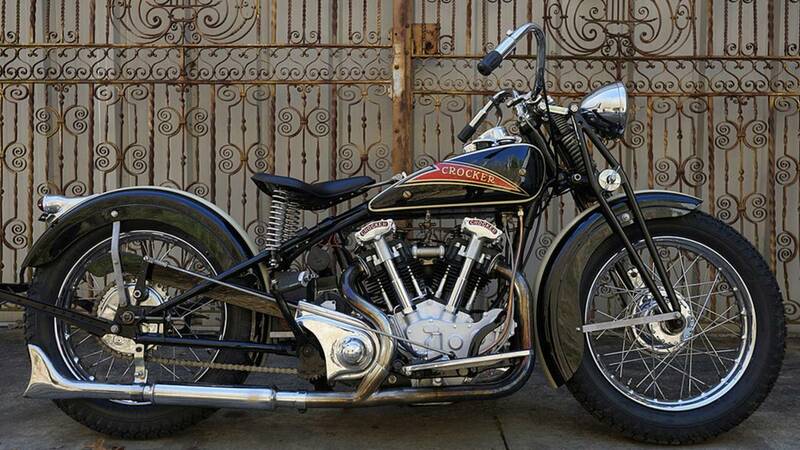 The first Crocker cruiser rolled out in 1936, and right away it was clear that he had built something far surpassing the current offerings from Harley and Indian. The motorcycle was powered by a 61" V-twin with a number of key features not available from any other manufacturer. Firstly, the cylinder walls were 3/8" thick, so although the standard displacement was 61", the engine could be bored up to 100" without issue. The engine also used hemispherical combustion chambers, and in it's standard configuration, was close to a square engine (equal bore and stroke). The engine was also designed with overhead valves, the first five machines using an exposed valve train and all the preceding machines used parallel valves and enclosed springs. Although Harley released their first OHV machine that same year, Crocker beat them to it by a few months making them the first American motorcycle company to produce an OHV V-twin engine for street use. 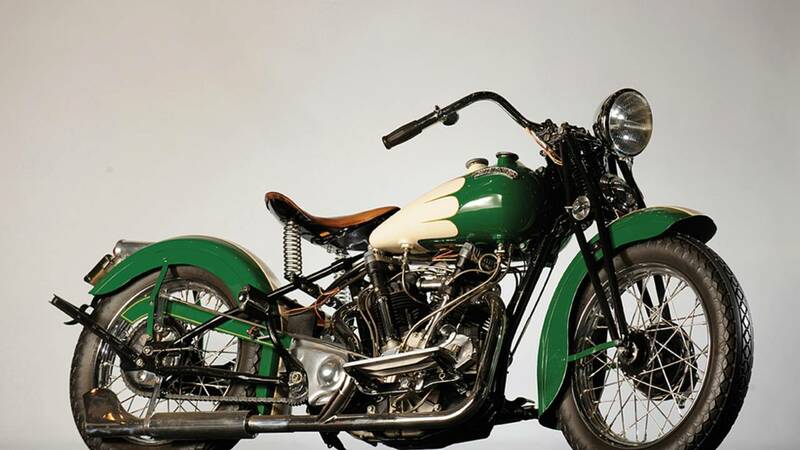 All these features added up to an engine that was a real powerhouse, producing 55-60 horsepower—almost double of what Harley's and Indian's motorcycles were capable of. Al was so confident of his machine that he offered a money back guarantee to any Crocker owner if he was beaten by a standard Harley or Indian motorcycle. 1937 Crocker Small Tank V-twin. Photo courtesy of Bonhams. Al didn't stop with designing a first rate engine and his ingenuity can be found throughout the bike. The three speed transmission uses constant mesh gears (another first) housed in a cast steel case which acts as part of the frame. Gas tanks were also cast, this time out of 1/2" aluminum with the oil tank built in. The first Crockers used 2.5 gallon tanks and are referred to as "small tank" Crockers. A larger tank was fitted in 1938 and those machines were aptly named "big tank" Crockers. Probably one of the most notable pieces was the cast aluminum tail light which has been copied and used by custom builders for years. Like most other motorcycle manufacturers, Crocker didn't design and build every single part. 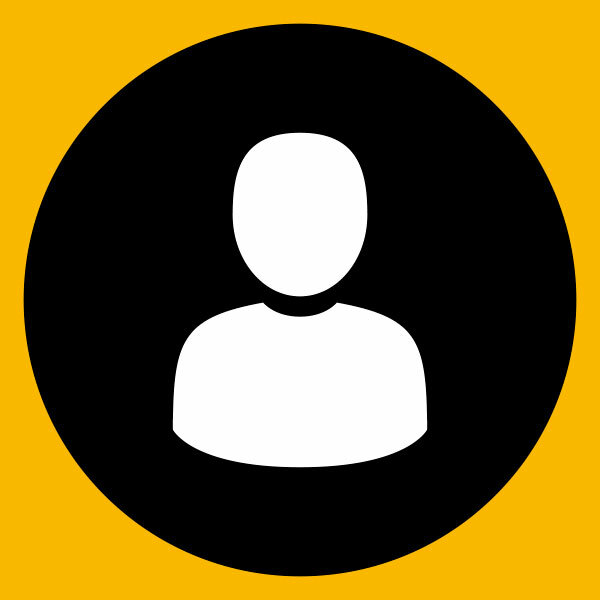 When high quality parts were available that suited their design, they were happy to use them. There was no need to design their own magnetos or spark plugs when they could be purchased elsewhere. They also had no qualms about using parts built by Harley and Indian. Most of these were inconsequential—like headlights, horns and brake shoes—but a few bikes did use Harley valves, pistons and rods along with Indian idler gears. This has led to rumors that Crockers were completely built with borrowed parts, which is entirely false. Crocker did as much work in house as possible, even doing the final machining on castings made by outside foundries. 1940 Crocker Big Tank V-Twin. Photo courtesy of Bonhams Auctioneers & Appraisers. The total number of machines built by Crocker is not known for sure, but it is widely believed that they built around 200 total. Half of those were V-twins with the remainder split between Speedway bikes and scooters. 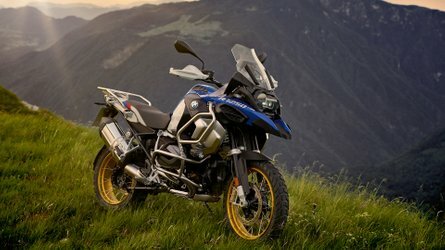 Those low productions numbers meant that each bike was slightly different and was built based on the wishes of the customer. Although Crockers were far superior to other American machines, the onset of WWII spelled the end for a promising company. Motorcycle production ceased in 1942 as the cost of materials skyrocketed, and Crocker started losing money on every motorcycle produced. Instead of giving up, Al shifted gears and got a contract with Douglas Aircraft making airplane parts. The company made it through the war, but Al never moved back to making motorcycles, instead he sold the business to Borg Warner. 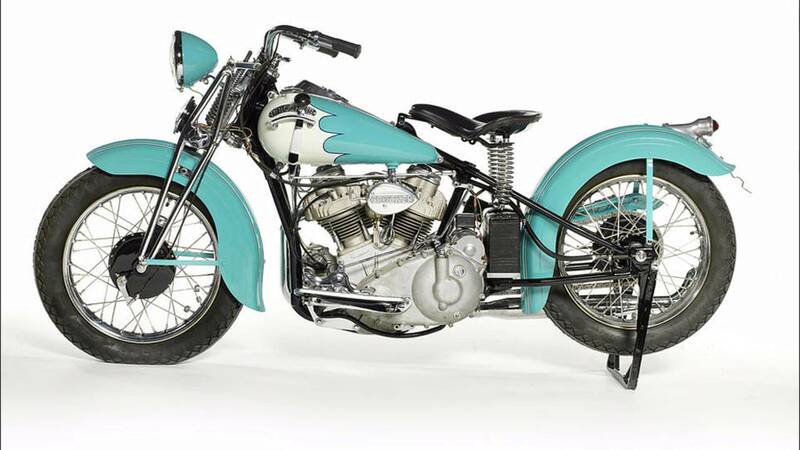 Today, you can find Crockers for sale at most of the top vintage motorcycle auctions, but if you can't swing the six figure price tag to purchase one, there is still hope. The Wheels Through Time Museum in Maggie Valley, NC is holding a raffle for a Crocker motorcycle this year. For $1000, you can buy one of 5000 tickets, making it perhaps the cheapest Crocker ever sold! #8 Hemi-Head Crocker V-Twin to be raffled by the Wheels Through Time Museum. Photo courtesy of WTT.